Colombo Land and Development Company PLC which completed Sri Lanka’s first ever international standard shopping mall Liberty Plaza in 1982 laid foundation on February 14, for an Rs 600 million expansion to the shopping mall under the patronage of Lakshman Yapa Abeywardena, Minister of Investment Promotions. The minister also declared opened the new specialty multi cuisine restaurant at Liberty Plaza named “Seasons” which will be a first restaurant of its kind, all under one roof serving cuisines like North/South Indian, Sri Lankan, Western and Oriental. UDA Chairman Nimal Perera commending the efforts of the Management of Colombo Land said it has proven to be the most dynamic associate company of the UDA. Currently Colombo Land was performing beyond expectations of the UDA proving that a true private/public partnership can deliver an effective solution to solve urban development issues in and upwardly mobile society. Nimal Perera said that when the children were performing it is the father who takes pride in the achievements. Hence UDA is extremely happy and proud of the strategic and proactive approach CLDC was taking in those efforts. CLDC was set up in early 80s as public private partnership between a Singaporean property development company, Clarissa private limited and UDA for the purpose of undertaking infrastructure development projects. 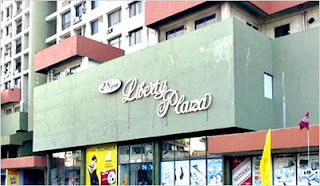 After completing Liberty Plaza in 1982 it also built the peoples park shopping complex in Pettah. Being a public listed company, 73% CLDC shares were currently held by Sri Lankan institutes and individuals. UDA was one of the largest institutional shareholders with 17.5%. While the Liberty Plaza expansion and the adjacent new Liberty Arcade shopping mall will create more retail space along the Duplication Road, the next major project of the CLDC will be the Liberty Square in Pettah. The UDA Chairman said that this joint project of UDA and CLDC will help modernization of Pettah and will result in a major transformation of the City’s outlook. He said there were several infrastructure development projects that have been undertaken by CLDC. These developments were adding great value to the Urban Development efforts of UDA spearheaded by Gotabhaya Rajapaksa, the Secretary of Defense. Ng Eng Ghee brought in a substantial foreign investment to the country to successfully complete the first ever international standards shopping mall in Liberty Plaza. CLDC being a partner company of UDA is confident that it will able to meet all the set targets and add capacity to the city to become an efficient partner to make the Government's vision of making Sri Lanka the Wonder of Asia. This event was also graced by Namal Rajapaksa MP, Nimal Perera, Chairman UDA and Nihal Fernando, Director General UDA.